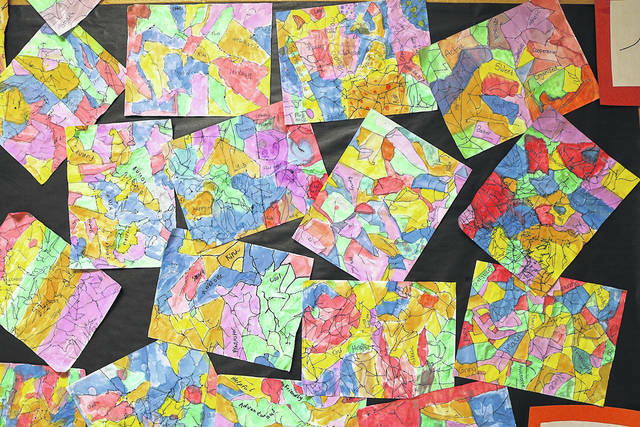 Huber Heights City Schools (HHCS) art teachers are having their students complete projects that not only help themselves, but also other children in need around the world. 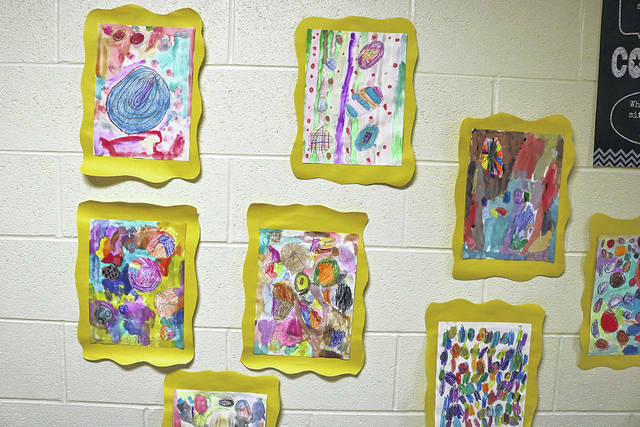 HUBER HEIGHTS — Huber Heights City Schools (HHCS) art teachers are having their students complete projects that not only help themselves, but also other children in need around the world. Valley Forge Elementary School art teacher Kathryn Nugent was on episode four of The Warrior Path Podcast to discuss the specifics for the projects. The first art project Nugent talked about was The Dot, based on the book The Dot by Peter Reynolds, she had her kindergarten through third grade students complete. Nugent said The Dot taught students to get started, explore ideas, and share their gifts with others. Students started off by creating a dot on a piece of paper to represent their mark in the world. From there students used a variety of materials to decorate their dot as unique as themselves. Nugent said this helped students combat frustration in art and in other areas of their lives. The finished projects were hung in an art installation that everybody walked by in the school. The second art project Nugent expanded on was Ish, based on another book of the same title by Reynolds, her fourth through sixth graders worked on. Ish is about not getting squashed by other’s opinions and defending your ideas. “Not letting other people ‘squish your Ish,’ is what I like to say. Just because somebody says something to you, or is making fun of you, you shouldn’t stop doing what you love,” said Nugent. Students started by crumbling a piece of paper to represent a challenging aspect of their lives. The students then open up the paper and begin to outline the lines on the paper. Students finished the project by writing words that describe qualities about themselves and what makes them happy. “A lot of the students chose to write [words like] ‘creative Ish,’ ‘talented Ish,’ [and] ‘athletic Ish,’ because they’re still learning so they can’t be perfect at anything right now,” said Nugent on students adding their own flair to the projects. Ish projects were hung across the hall from The Dot projects. The final project Nugent elaborated on was The Memory Project, which will be completed by her sixth graders. This special project involves students creating and donating portraits to children around the world who are facing substantial challenges including war, poverty, and natural disasters. Students will begin working on The Memory Project in December 2018. When asked why she chose to have her students complete this project, Nugent said it was all about creating art with the purpose of helping others. “I want to show students that they can take something that they love, have a passion for, and help other people with it,” said Nugent. 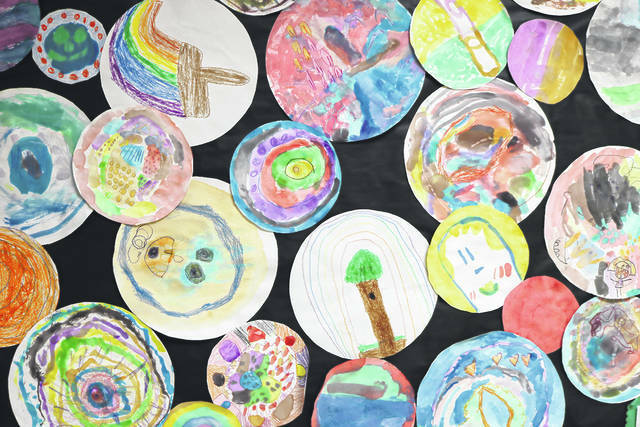 Art projects in HHCS are helping her students build their self-esteem, discover their individuality, and help other children in need around the world. “I want to show they have a voice, they can do something that can make them stand out, and make them feel good about themselves,” says Nugent on the impact of her project choices.